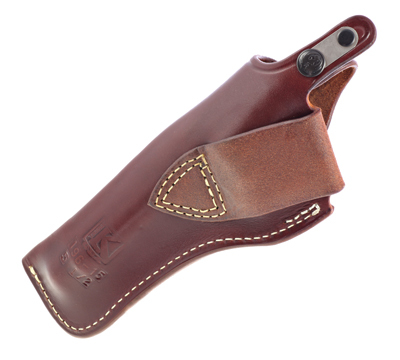 Leather holster for the Ruger® Redhawk® and the Super Redhawk®. Ruger logo stamped on front of holster with walnut oil finish. Made in the USA by Triple K. Left-Handed. I needed a left hand holster for my Super Redhawk and took a chance. The holster fit perfectly. No break in needed. 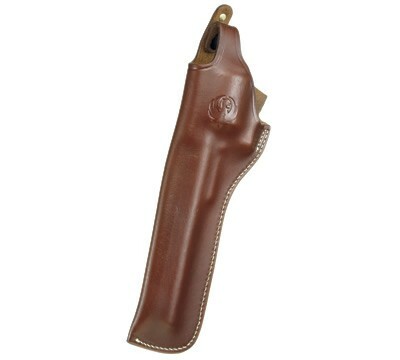 The quality of the holster is very good and it is also a beautiful color brown. The Ruger crest makes this purchase really NICE! Great product from Shop Ruger.com. I will be looking at other products from triple K.